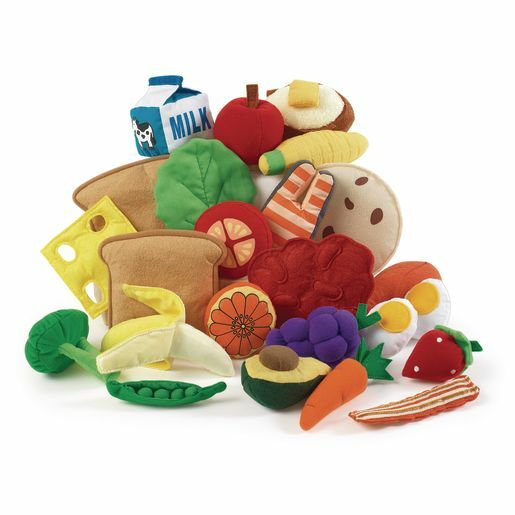 Fun and yummy plush play food set includes fruits, vegetables, poultry and assorted other healthy foods. 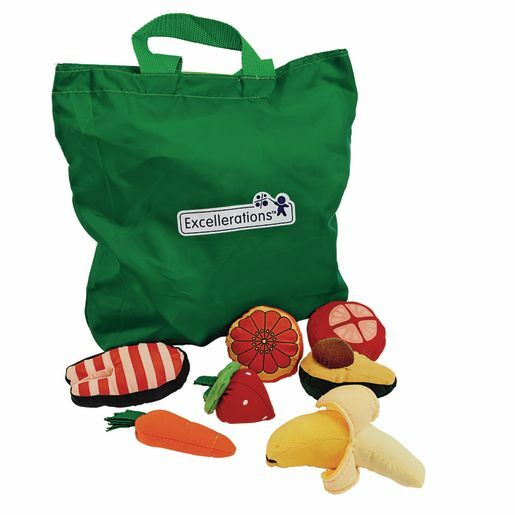 Set includes convenient storage bag. Largest piece: 5-1/2"L, Smallest: 2-1/2"L. Machine washable.